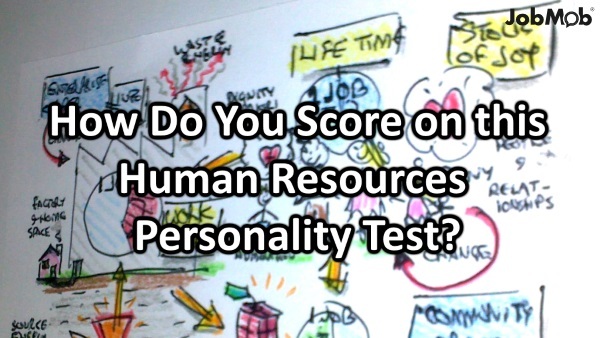 How Do You Score on this Quick Human Resources Personality Test? Update November 2013: Dr. Phil never tested Oprah Winfrey with this test. Snopes says that it has the same value as a fortune cookie. As you do the test, choose the best answer and note your letter choice for each question. How to read the list below: if you chose (a) for question 1, give yourself 2 points and go on to question 2. Others see you as someone they should “handle with care.” You're seen as vain, self-centered and extremely dominant. Others may admire you, wishing they could be more like you, but don't always trust you, hesitating to become too deeply involved with you. Others see you as fresh, lively, charming, amusing, practical, and always interesting; someone who's constantly in the center of attention, but sufficiently well balanced not to let it go to their head. They also see you as kind, considerate, and understanding; someone who'll always cheer them up and help them out. Others see you as sensible, cautious, careful & practical. They see you as clever, gifted, or talented, but modest. Not a person who makes friends too quickly or easily, but someone who's extremely loyal to friends you do make and who expect the same loyalty in return. Those who really get to know you realize it takes a lot to shake your trust in your friends, but equally that it takes you a long time to get over if that trust is ever broken. People think you are shy, nervous, and indecisive, someone who needs looking after, who always wants someone else to make the decisions and who doesn't want to get involved with anyone or anything. They see you as a worrier who always sees problems that don't exist. Some people think you' re boring. Only those who know you well know that you aren't. How did you do? Was it what you expected? Ace the test? 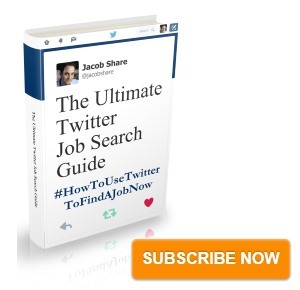 Subscribe to JobMob via RSS or email and follow me on Twitter for the best in job search anticipation. I scored a 48! Is there jobs that fit into my ideal personality? Sommer, anyone getting 31 to 50 should have no problems finding work as a result of their personality. People with other results will be much more limited in their options. I got a 46, definitely sounds like me! This test is idiotic. Favorite color has no bearing on detailed personal information – this test has orange of 10% OF THE MAXIMUM SCORE. HOW STUPID ARE YOU PEOPLE? Michael, great quote, but chill. In all seriousness, t’s a 10 question survey, it’s likely to be only a hair more accurate than astrology or handwriting analysis in determining. It’s for fun! Real tests are considerably longer and more in depth. PS – I have degree in psychology, with a thesis in organizational behavior and testing. So I don’t consider myself *too stupid*. cheers. What a cool test. I scored 41 and after reading the summation, I feel really good. Only those above 40+ respond, seems about right. Michael – I also like your Karl Marx quote for today, too true. Did you take the test? I’ve been in HR for years and talks of using Personality Tests alone for hiring scares me. 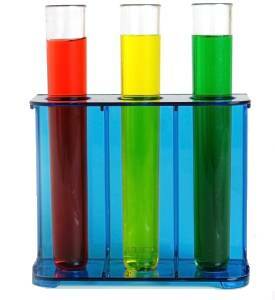 We use the Myers-Briggs Personality Testing for screening of canidates. However, we will not use the test unless their potential direct report manager has screened them first. I cannot believe that some companies will actually use any personality profile for initial screening. You will miss a great deal of good canidates by looking at their profiled personality. But, using it as a screening tool after you have lined up good canidates is a good idea – at least to me. Recently I had two canidates who looked very similar – Both has roughly the same education, work experience and credentials. One of them had a better looking personality profile – it was more in line with what we were looking for. So we went with them. I think use of these tools makes sense in this context. Janice, you’re right of course. Personality testing is only one tool in an HR toolbox and should be respected as such. Used correctly it can help get results, but any company that relies on it alone will have recruitment problems, and those are hard enough to solve with the whole toolbox. It’s just like when I blogged about graphology testing, and how my interview process ended because the hiring company was dumb to use it in my case. The Meyers-Briggs test should not be used as a pre-screening tool, as it’s not designed for this. I think using any formal testing as a pre-screening method is generally too costly/time consuming. If the MBTI is administered, I *hope* it’s done by someone trained/certified to do so. That said, I’m not even a fan of using it during the hiring process at all, as it does not predict behavior or competence. A person has his or her inborn preferences, but the behavior that emerges can be considered situational, so typing may not help. You can make the case that it can be used as a tool to determine personality types and their fit with job roles/responsibilities, but A) a candidate can “fake” their way through it and give what answers they think the tester wants to hear. And B) a job may have duties/responsibilities that are contradictory in typing (marketing specialist, may need to present and be publicly visible but also have to do analytical research). Typing is better suited for personal/career development (in my humble opinion), where you have informed consent and less pressure to answer how you think others might want you too. So yeah, there’s a lot of tools in the HR toolbox, but I hope than an organization knows what to use them for (if at all 🙂 ). I’m may be biased as I worked in 3 different Fortune100 companies (with big PhD/masters caliber HR/recruiting staff), and I’ve never seen a personality (nor, graphology) tests used. With a high degree of recruiting success. I’m in favor of companies spending money on training hiring managers/teams on how to best conduct interviews. And doing rigorous interviewing, with multiple internal stakeholders. This will more than likely determine the best candidate. ps – sorry for the massive comment!!! 😉 I’m sure it will be some good ammo for someone. What about the majority of companies – the SMBs – that can’t afford to have PhD/masters caliber HR staff? On the other hand, they may not be qualified to administer other tools – psych testing, etc. – either, in which case they’ll have a hard time getting optimal results. To clarify, my point was if you were to have graduate level psych trained people on staff, and they don’t promote/champion the use of testing in recruitment, why should smaller companies, who don’t have those resources, do it? I guess this is assuming this level of psych education had testing education and training, which I guess may not be the case but they would have strong fundamentals in how they work (I know I got them even with a bachelors). Is it an outside (testing) vendor selling the services to a company? I have heard of this and seen it. Bar Guide – We hired an outside company for our Myers-Briggs Testing because we didn’t have someone with MBTI qualifications on staff here. I’ve seen the comments posted here, I liked the discussion on the PHD an large companies. It seems that many would pass by small businesses altogether, but they do employ the majority of the country. So the questions is what to use and how to use it. I became frantic when I saw my score was(53). I thought oh my God there is something wrong with me. But, when I saw that Dr. Phil’s score was (55) and he’s pretty okay. I calmed down. All in All, the test was okay. 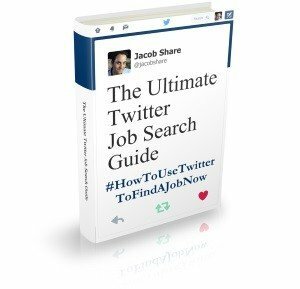 I will test its concept in regards to how limited it suggests my employment options are….Stay tuned…I want to see what kind of info the Clifton Strengths Finder reveals. That tool provides more insight into what I can do rather than what I can’t. I got 45 and I am a serial killer. Huh, I scored a 44. And yet I can’t seem to find a job anywhere. Damn you, HR, and your multi-tiered screening practices! I aced one test; isn’t that good enough? I got 42…which sounds right for me. But I doubt a PEO would be able to use this test to give to potential employees. I feel that it was too short, and it seemed more like a fun survey to do, than one that actually captures your personality in all kinds of situations that can arise when in a specific job. seemed to fit the bill. It was also good to see some responses! .-= Jay´s last blog article was Keyword Research SEO =-. let me try that again… that’s what i get for writing and then editing, and NOT re-reading. i just read through the comments posted above. last week, i took a true HR “profile” test (employment prescreening) for a very large, well established company. in my entire career (30 years), i’d only taken one other HR profile test and it was not so much based on personal traits as it was on abilities. the one i took this week was probably 600 questions, in six sections. there were statements aimed at determining personality make up, but also on abilities to figure out simple math, to the very complex, as well as word problems etc. this one here was, as Jacob states, just for fun and it didn’t give me a headache! I was so pleased because I must work with people that are over 60s because it is not fun. I am looking for a new position and am relieved that maybe it really is not about me….my problems with working with unethical and just plain unkind people. I know there are nice people out there. I just have to find them or work for myself. I am a communitcation, marketing graphic designer. Nancy- it’s a good point that a good assessment of anything must take into account the context. It does sound like you need a change so good on you for recognizing what needs to be done and going out and doing it. I know that along with my personality, I am a person that does not have an “agenda”, other than providing my best work for my employers. I am notinterested in power or work politics. I am secure, and with my creative,kind nature, I am very uncomfortable with things (dishonesty, etc.) that others at work just accept. And after tolerating rediculous amounts of those behaviors, I speak up. Nothing will improve if we don’t at least try to change things. Nancy- and it’s true. Most employees get comfortable and won’t do anything that they think might jeopardize their situation. But good for you, the confident ones who speak up are the ones who are more likely to move up in the good companies that recognize initiative and intellectual honesty. I got a 43 which would probably surprise a lot of people who work with me or think that they know me but I feel that it’s pretty accurate. I try to make the workplace as interesting and “fun” as possible for my supervisees and I do go out of my way to help everyone do his or her best. I’ve taken the Myers-Briggs several times at various points in my life and have gotten different results in only one area. Still, it’s a useful tool as well. We have terrible HR professionals where I work so it’s good to hear that there are companies who are using ways to evaluate candidates; it would make my job easier since I have to deal with the people they hire who are, sadly, often not at all suited to the job. Leslie- it’s fascinating to hear that you find the test is a better judge than the people around you. Thanks for sharing. My yield was 48. That seems about right, I do enjoy attention but I have enough modesty to realize I am not the center of the universe (far from it). If you took this test, you’ll want to read the update that I just added to the article. I got 43, which I think is quite true for my personality. Actually, this can help a lot in business like described is Reward Gateway’s post about how personality profiling could help one business grow. 38 WOW! The description is so right 😀 Thanks a lot. i got 55 is it good enough to land me in a job sector? I scored 41. Exact description. This made my morning. Thanks. I got the same score as Oprah, 38, and the analysis was 99% correct. Quite an interesting test and result. I got a score of 33. Thank you very much for providing this test. I got 31-40. Very flattering, but I still think the test is stupid.